Business centers, as a rule, are large high-rise buildings with a bunch of offices on different floors. In addition, they can have different conference rooms, restaurants, gyms for employees, etc. Business centers, as a rule, are large high-rise buildings with a bunch of offices on different floors. In addition, they can have different conference rooms, restaurants, gyms for employees, etc. Nearby there are parking lots and green areas for rest and walking. Most often we receive a request from the customer – the building outside should look majestic, stylish and solid, and inside is also cozy. Of course, we offer facade glazing of different types, because it helps to achieve such effects. Moreover, we produce glass, aluminum and steel profiles ourselves, and we can be sure of their quality and durability. What else can we advise business centers? Ordinary thick walls or plasterboard structures are already remnants of the past. Glass partitions look much more pleasant. They can also be fire-fighting at the same time. For this purpose, a special refractory glass is used, consisting of several plates, and in the event of a fire, the internal filling swells and protects the outer parts from destruction. Thus, it is possible to prevent the spread of fire and wait for rescuers. Elevators in such buildings are a common thing, and we also glaz them. By the way, if you need to put logos of companies or any drawings on the glass – this is quite possible. In our work we use stemalite – glass with a paint applied to one side and then tempered. It’s beautiful and safe. And still convenient, because inside the departments you can leave transparent partitions, and between departments and other areas (kitchens, locker rooms, etc.) – to install color. We are ready to take into account any of your wishes and make your dreams come true. Having decided to build a business center, you need to think over every detail. Designing business centers is exactly the stage that should be given the most amount of time and effort. And it is not recommended to trust newcomers, therefore it is better to entrust a professional company that is well versed in this business and has in its arsenal all the necessary technical equipment. That the project of the business center gave the chance to receive an unsurpassed result, it is necessary to entrust its drawing up to us. If you need to order a design business center, then do not hesitate with the choice, because only real professionals will be able to solve this issue in the most efficient and correct manner. What projects should I expect? 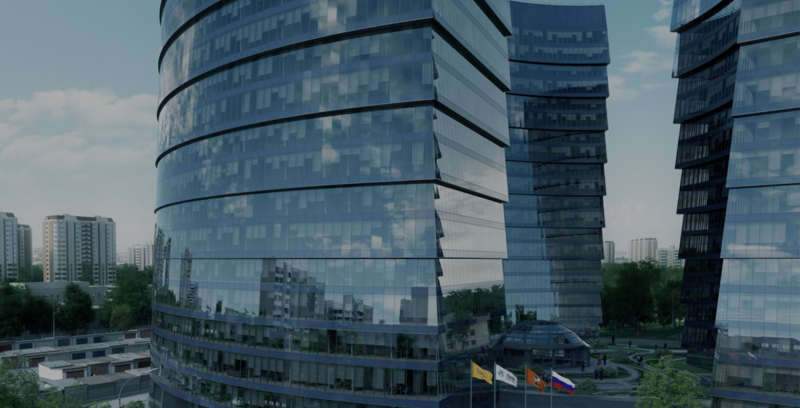 We provide a unique opportunity not only to choose ready-made projects of business centers, but also to create a truly unique design that will satisfy the whims of even the most demanding customers. Despite the fact why you are building a business center, the proper design of business centers allows you to realize even the most secret wishes. At the same time, all basic safety and comfort parameters will be taken into account.